This exhibit honors Mayor Carl B. Stokes and his brother, Congressman Louis Stokes, and is built as a continuation of their legacy of leadership, advocacy and action. 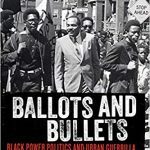 The stories of the political careers of Carl & Louis Stokes illuminate and define broader issues in African-American and American urban history. While the exhibit celebrates the achievements of Carl and Louis Stokes, it also uses their experiences to reflect on and explore topics such as the Civil Rights Movement, social and economic disparity and the rise and importance of heroes and exemplars. The lives of Louis and Carl Stokes intersect with major, critical changes in the history of Cleveland and the United States. Carl Stokes was the first African-American mayor of a major American city. 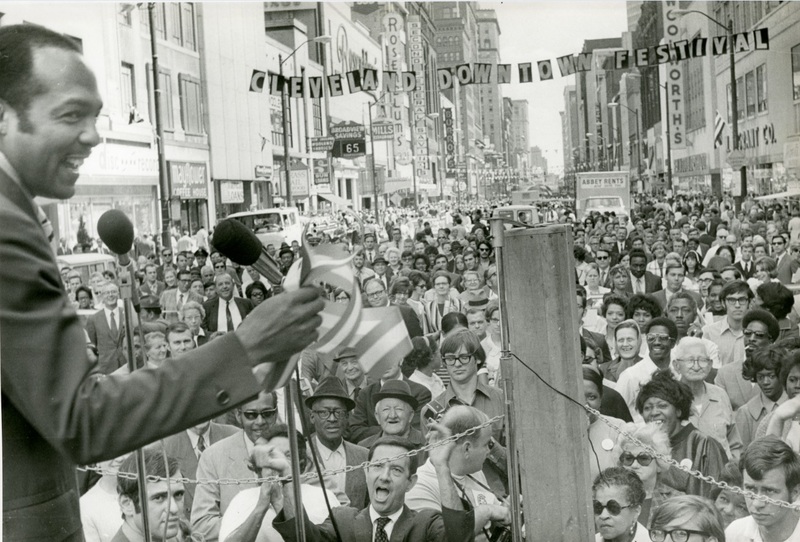 As mayor, he set an agenda to meet the needs of Cleveland residents regardless of their racial and ethnic background. He won voter approval for schools, housing and numerous other city projects. 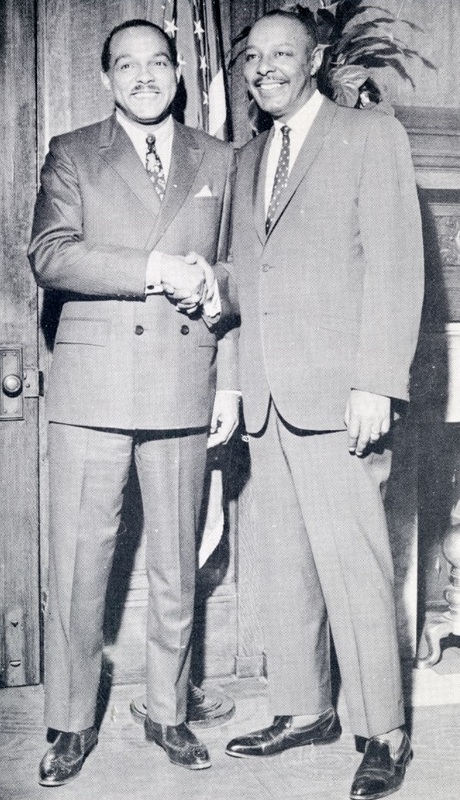 Equally important, Mayor Stokes demonstrated that in addition to civil rights activism, the cause of economic and social justice could be advanced by understanding the political process. 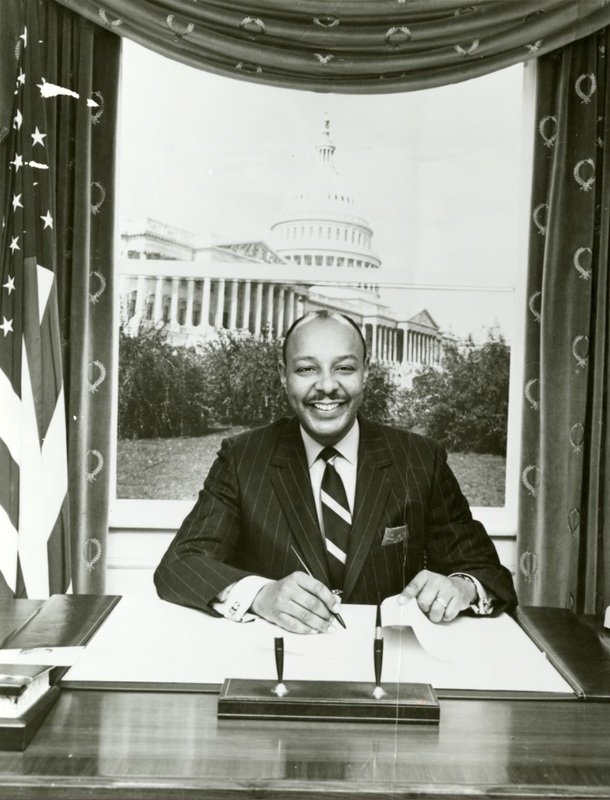 His brother, Louis Stokes, played a groundbreaking role in the legal and political life of the nation serving 15 consecutive terms (30 years) as congressman. During his tenure he was the chair of the House Select Committee on Assassinations, and a pivotal figure in the Black Democratic Caucus. WRHS worked with Cuyahoga Community College (Tri-C) and other community partners in creating the exhibit, which was funded by The George Gund Foundation and PNC Financial Services Group. In addition, students in Tri-C’s Jack, Joseph and Morton Mandel Humanities Center and Student Production Office helped to record oral histories from more than 40 contemporaries of the Stokes brothers. The oral histories are incorporated into the exhibit and were made possible through support from The Cleveland Foundation and Ohio Humanities.